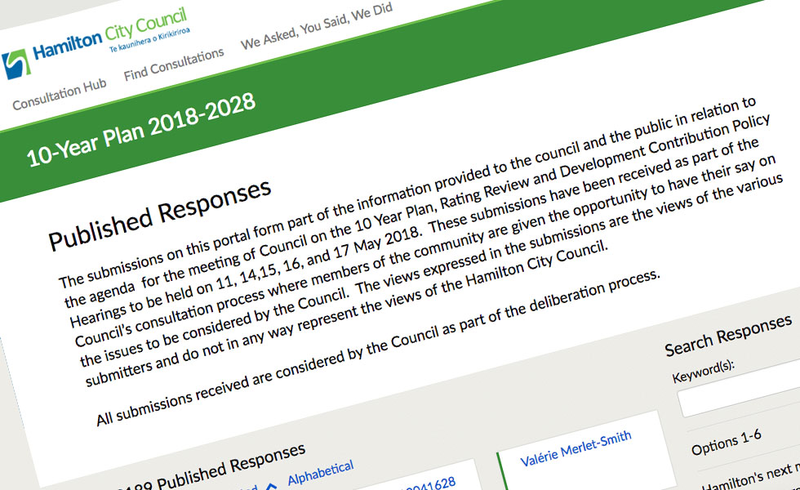 In the city of Hamilton, the council want to ensure that citizens are involved in the public hearing process for the creation of their 10 year plan. Previously, the public could submit their views on the plans on paper, which would then be collated and distributed amongst councillors for review. Councillors were given 2 weeks to go through the submissions and give feedback and the whole process usually fell within a 6 week timeframe. At times, there was a level of public concern at how long the council took to respond. It was an admin-intensive process and whilst submissions were available to view, they weren’t particularly accessible or easy to find. They decided to modernise the process using Citizen Space. By opening up the submission process to the community online, people were able to submit their feedback digitally. Responses were moderated and published for everyone to see on the council’s Citizen Space site. By using Citizen Space’s response publishing and search capabilities, the process became more efficient and responses could be easily identified. The public nature of the exercise meant that interest groups and respondents were able to look through submissions and see where others had agreed or disagreed with their views. Submissions could be used in deliberations and decision-making, with a number of councillors calling upon response data to support their arguments. 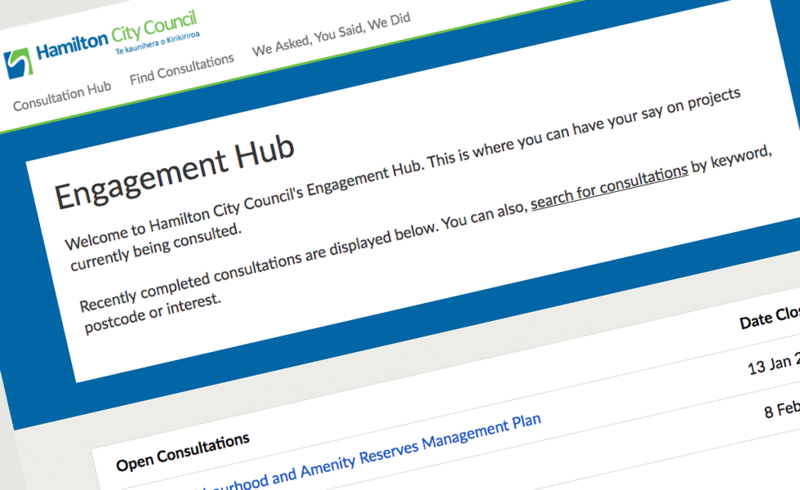 Hamilton City Council recognised the importance of closing the loop when it comes to public consultation. All respondents were kept up to date and could see all of the other submissions via Citizen Space. The “We Asked, You Said, We Did” function provided a simple way of keeping the community up to date within the context of the consultation. As a result the public felt genuinely heard and that their views were truly being considered. People were pleased with how open, accessible and honest the council was being. It also gave the public a chance to see the diversity in comments and the different sides to each issue, giving them a better understanding of their own community.